The days are starting to feel longer and lighter, but warm and sunny days still feel a long way off. February can be a tough month so here is the first of two blogs sharing top tips for feeling fabulous. The theme of this year’s Breathing Space day is ‘Stay Connected’. We know that having supportive networks of family and friends helps us to have good wellbeing. But those networks don’t just happen by themselves – we all need to take active steps to Stay Connected. Is there someone you haven’t seen or heard from lately who you could contact today, just to say “Hi, how are you?”. They probably need you just as much as you need them! Connecting is also one of the Five Ways to Wellbeing – ‘Connect, Be Active, Take Notice, Keep Learning and Give’. These simple things are evidence-based actions which promote people’s wellbeing. Think of these as the cornerstones of your life and invest time in developing them. Building these connections will support and enrich your life every day. A healthy and varied diet is very important for mental wellbeing as well as for your physical health. In particular there is evidence that green leafy vegetables and oily fish can have a beneficial effect on mood. Sardines and salad, anyone? Salmon and spinach? Herrings and kale? Pay attention to how you feel after eating certain foods, you might find that some tend to lift your mood while others make you feel dull or sluggish. We all know that eating our five-a-day is good for our health. Five conversations a day might be just as important for our wellbeing. It doesn’t have to take long – just enough time to say hello to someone, ask how they are, and really listen to their reply. And give them a proper response if they ask how you are. How many conversations did you have yesterday? Will you manage to have five today? 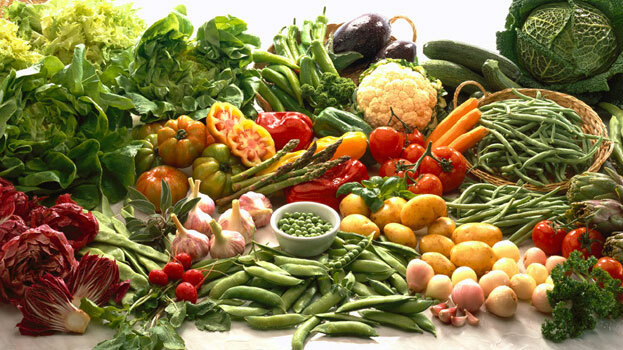 If you don’t manage five-a-day every day, remember that quality is just as important as quantity. But eat up your fruit and veg as well. Be active…Go for a walk or run. Step outside. Cycle, play a game, garden, dance. Exercising makes you feel good. Most importantly, discover a physical activity you enjoy and that suits your level of mobility and fitness. If you are unsure about whether you can take part in physical activity, or you are concerned about the impact of physical activity on your health, consult your GP first. 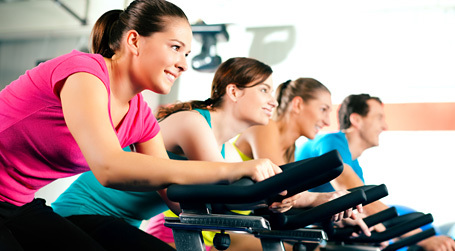 Boosting your wellbeing by increasing your physical activity should be enjoyable. Anything which makes you just a bit more active than you were before will do you good, and you can increase the amount of activity gradually towards the recommended 30 minutes a day. 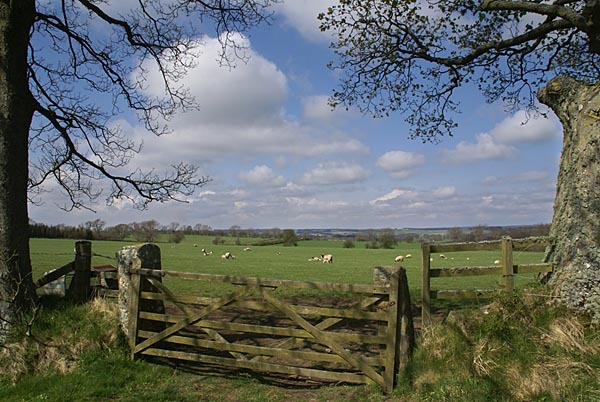 Simply go for a short walk in your lunchbreak, and maybe encourage a few colleagues to come along. Don’t have much time? Recent evidence shows that just a 20 minute brisk walk each day can dramatically reduce mortality, that’s just 10 minutes out and 10 minutes back! Or you can add together several shorter spells of activity to make up your daily total. If you work in NHS Tayside there are staff walking groups at many of our sites just ask your Healthy Working Lives rep for details. If going to a gym or using Council leisure facilities is the way you like to be physically active, did you know that NHS Tayside staff can get a range of discounted membership rates? You can get more information on Staffnet. Gardening is good physical activity – 3 hours of non-strenuous tidying and planting can burn as many calories as an hour in the gym, and you will have a tidier and more colourful garden to enjoy as well. If you don’t have a garden of your own perhaps you could help a neighbour or family member with theirs, or volunteer at a community garden or allotment – you might gain some new friends and some garden produce as well. Make sure you drink enough – but watch what you drink! Being dehydrated can put a dampener on your mood, so make sure you drink plenty of water throughout the day. Caffeine in moderation can give you a lift but in higher doses it produces effects similar to anxiety, disrupts sleep and can make panic attacks more likely. You might find it helpful to reduce your daily intake of caffeine or avoid it altogether. Watch out for caffeine in many soft drinks as well as in coffee and tea. Alcohol affects the parts of the brain that deal with stress, anxiety and depression. It can ease social anxiety by reducing inhibitions. Unfortunately alcohol also limits the natural release of chemicals that normally ease feelings of anxiety and depression, so these feelings can be worse once the effects have worn off. It reduces our ability to keep emotions in balance and under control and the inhibitions that normally help us to keep ourselves safe. If you are worried about your own, or someone else’s drinking, there is help available. Contact your GP or Tayside Council on Alcohol. 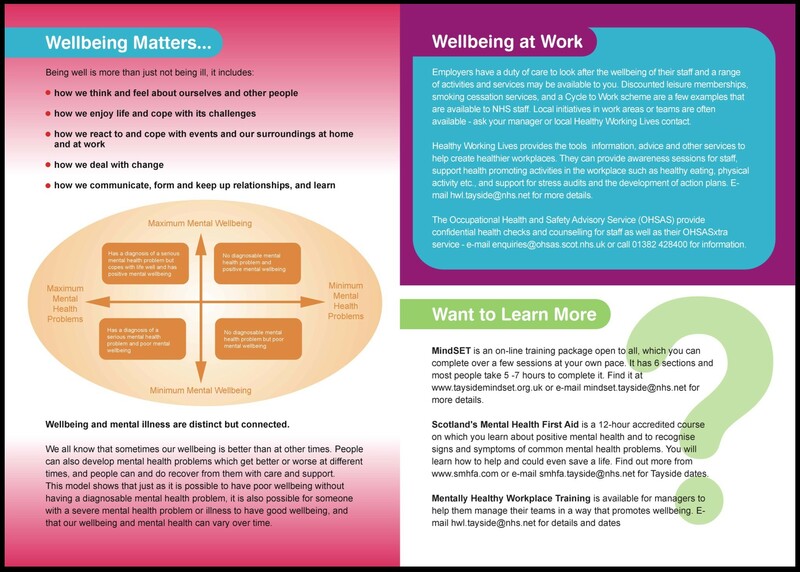 For lots of information on wellbeing, and how to find out more about mental health and wellbeing, have a look at our Wellbeing Kit leaflet and share with a friend or colleague. You can click on the images below to read and print. Look out for more top tips in two weeks time. 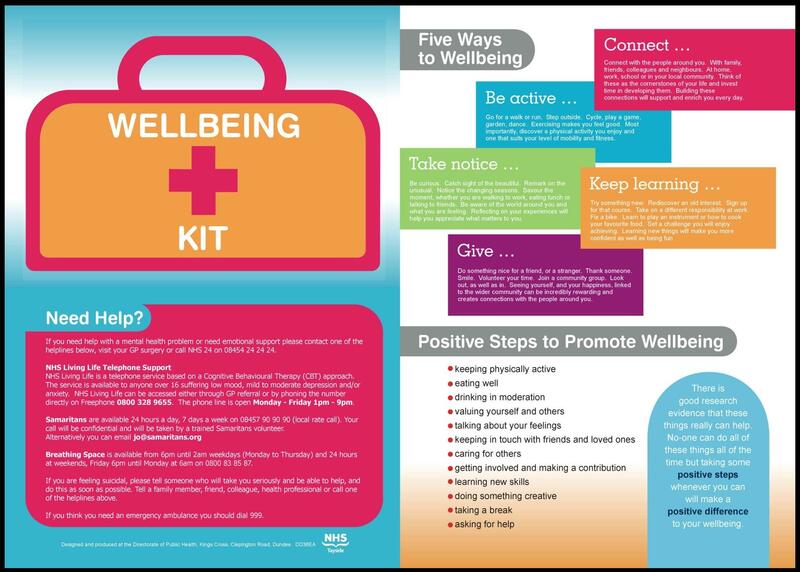 Dr Deborah Gray is a Senior Health Promotion Officer and is part of NHS Tayside’s Wellbeing Group which aims to promote wellbeing amongst staff. This entry was posted in Uncategorized and tagged alcohol, anxiety, communication, depression, diet, exercise, gardening, health, low mood, mental health, physical activity, talking, wellbeing. Bookmark the permalink. Great advice,people contact so important, thank you! Jane, thank you for your feedback. Hopefully you will enjoy more of Deborah’s helpful advice for feeling fabulous in February later on this month! A good reminder, thank you.